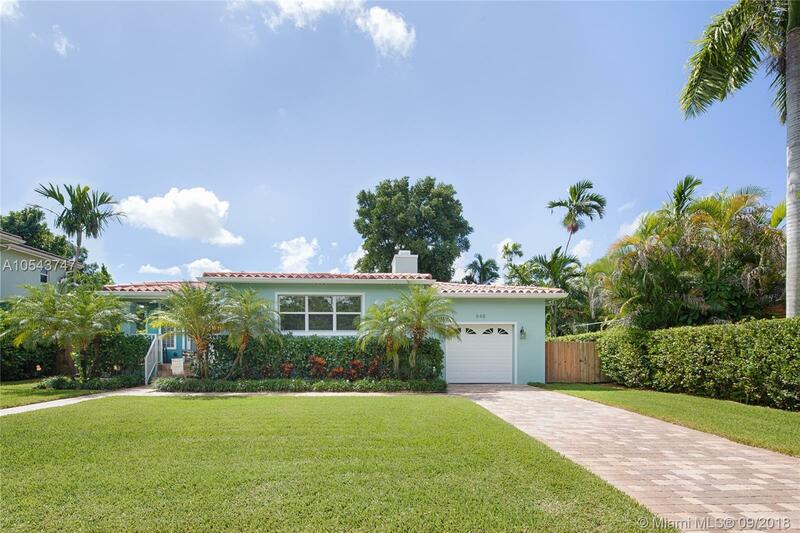 This immaculate turn-key Miami Shores home has much to offer!! Located East of Biscayne Blvd, this spacious, bright & airy three bedroom two bathroom home is adorned with beautiful finishes including Brazilian cherry and marble flooring, electric fireplace, crown moldings, recessed lighting,newer kitchen w/wood cabinets , quartz countertops and stainless steel appliances.Tastefully remodeled bathrooms with quartz countertops, large bedrooms w/walk in closet in master, oversized covered deck with awning, impact windows and doors freshly painted inside & out, new drainfield, fenced backyard w/room for a pool, new tankless water heater, security system, water filtration system, Nest thermostat. Directions: Biscayne Blvd To NE 90 St. East To NE 8 Av East On NE 91 Terrace To Property.